Are you new to the LSU network? Want to connect and discuss surveying in your area? Do you have a problem with your survey equipment? Have some surveying related news or information? Got Surveying Photos from the field to discuss or share? Have a surveying video you'd like to share? 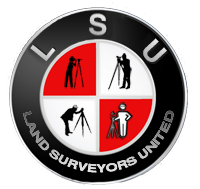 Want add your company to the surveyors directory? Have you added yourself to our member map yet?